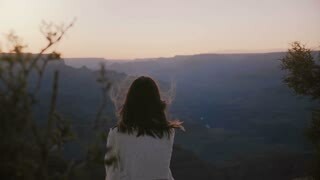 Search Results for "peaceful woman"
Slow motion peaceful young woman with flying hair sitting at epic sunset mountain panorama at majestic Grand Canyon. 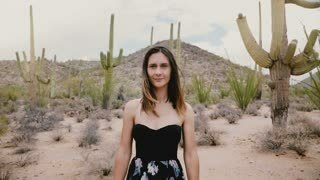 Slow motion camera zooms in on beautiful peaceful young woman posing with very calm look at atmospheric cactus park USA. Camera zooms in on peaceful young woman with flying hair watching epic sunset panorama over Grand Canyon slow motion. Camera moves up above peaceful young woman sitting at epic sunset panorama to reveal majestic Grand Canyon skyline. Back view young peaceful local woman watching beautiful scenery of cars moving over iconic Bixby Canyon bridge, Big Sur. Slow motion back view happy peaceful young woman with flying hair sits watching epic sunset over Grand Canyon panorama. Attractive peaceful young traveler woman with flying hair posing with calm look at amazing sunset exotic resort beach. Peaceful beautiful young tourist woman smiling, looking at camera with calm eyes at amazing sunset exotic resort beach. Attractive young woman lying on soft mattress in stylish bedroom and peacefully sleeping. Attractive young woman lying under warm blanket on soft mattress and peacefully sleeping in morning. Ethnic curly woman in sportswear lying on mat at home and stretching hands looking peaceful and calm while practicing meditation. Sliding shot of a beautiful woman stretching indoors in the evening doing yoga asana practicing training exercising working out flexibility gymnast gymnastics peaceful calm healthy fitness. Portrait of mature peaceful woman. Gorgeous woman clasped her hands under chin on checkered window background. Feminine beauty and charm. Camera tilts down on happy peaceful woman tourist enjoying atmospheric gondola canal excursion tour in Venice Italy. Peaceful happy woman on gray background. Satisfied middle-aged woman with clasped hands over grey background. Harmony and satisfaction. Slow motion back view peaceful man and woman walk together holding hands enjoying evening urban views of New York City. Close-up of peaceful senior Caucasian woman enjoying atmospheric gondola excursion tour on famous Venice canals, Italy. Amazing top view drone shot of peaceful happy young man and woman lying together in the middle of salt lake desert. LENS FLARE: Unrecognizable woman jogs along the peaceful beach on misty morning. A dark-haired pregnant woman is having a peaceful walk along the sea shore on a windy day.